What causes low back pain. 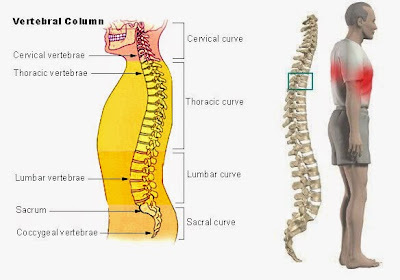 The spine is a complex structure made up of bones, joints, ligaments, and muscles. that does NOT “heal” on its own. It is critical to identify the underlying cause (which is where we help you) so that you can get permanent, long-term relief. Neck pain can be so mild that it is merely annoying and distracting. Or it can be so severe that it is unbearable and incapacitating. Most instances of neck pain are minor and commonly caused by something you did. That is, if you keep your head in an awkward position for too long the joints in your neck can "lock" and the neck muscles can become painfully fatigued. Poor postures while working, watching TV, using a computer, reading a book, or talking on the phone with the receiver held against your shoulder and under your chin can be responsible for neck pain. As we age, our joints wear out (this is called osteoarthritis) and the discs in the spine dry up and flatten (this loosely describes Degenerative Disc Disease). You may experience pain that radiates into the top of the shoulders or in between your shoulder blades. Occasionally, a pinched nerve (called aradiculopathy) occurs and you may feel tingling, pain, and/or numbness radiating into the arm, forearm, hand, and fingers. As always, with persistent pain you should be evaluated by a medical doctor and seek treatment from a trained physical therapist.